Some really good advice from Sophie Leon, a relationship expert. I’ve edited out some of the ‘spicy’ language, but really believe the author makes some wonderful points. Enjoy! It happens. I’ve lost track of the number of married men I know who have lost their wedding bands. Many men, including my husband, have lost their bands within the first year of marriage. 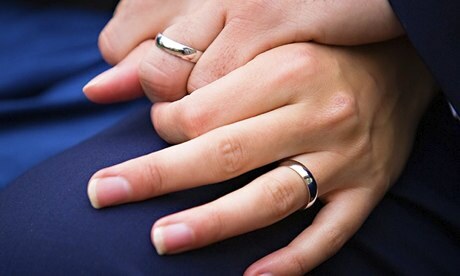 In fact, if you are a married and still have your original wedding band, I applaud you. DO NOT send a guilty-sounding text message. Texting your wife “I LOVE YOU. I’M SORRY,” without further explanation, will send your wife into a panic. This message sounds like you had an affair or ran over the familydog. DO NOT pretend it’s been misplaced. You can only play this game for so long. By pretending your ring is just missing, you’re just prolonging the inevitable. For every day you insist the ring is simply misplaced, your wife will grow more frustrated that you have yet to find it. DO take responsibility. Accept that it was your responsibility to care for the ring and now it’s gone. You’ve messed up. Try to recall the details of when and how it was lost and simply state the facts. Do not place blame on others or your wife. It will only lead to bickering. DO show remorse. Acknowledge the loss of this sentimental token of your commitment. Show her that your sorry and that your absentmindedness is not a reflection of how you feel about her, just a reflection of how you feel about suddenly wearing jewelry. DO get a new one. Suggest getting a new ring to wear as soon as possible. Now is not the time to forgo a ring. DO accept that she may be angry or upset. Allow her to vent those emotions. If you’re upfront about losing the ring, your wife will forgive you. Just remember to forgive yourself — and be more careful in the future, you big dummy.